CIG’s postage meter supplies brands, NuPost and ecoPost, deliver exceptional quality and performance at a great price. These extensive product lines support over 90% of demand in today’s market, are fully compatible with the most popular postage meters, and come with a 100% performance guarantee. CIG has over 10 years of experience in the ink formulation and manufacturing of postage meter supplies. Our state-of-the-art manufacturing processes ensure that our products meet or exceed OEM print quality. NuPost and ecoPost are the only aftermarket postage products approved by the U.S. Postal Service and are 100% IP cleared. 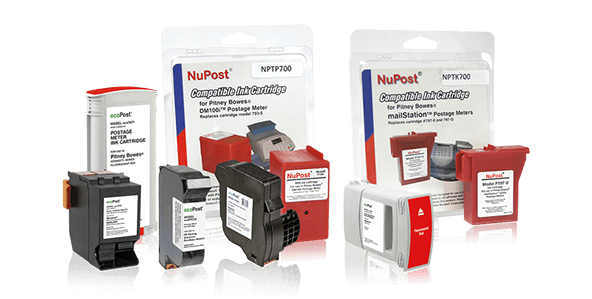 NuPost and ecoPost provide the same quality and performance as the national brands at a fraction of the cost - in stock, and ready to ship!